Test by a reporter from the New York Times last model electric car manufacturer Tesla California has attracted the ire of the CEO of the company that accused him of dishonesty. Beyond the facts, the whole planet IT seized of the case, proof that the car is going to switch to a new dimension. This is the big story of the day in the United States in the IT field. All our colleagues and talk about the "topic" is at the top of most media or news aggregators. Why IT takes a quarrel between a journalist and a manufacturer of auto electric cars ? For several reasons: the personality of the leader of the company, the high-tech automotive and geolocation tracking potentially problematic for the respect of privacy. Elon Musk: new Henry Ford ? In order. The manufacturer is implicated Tesla electric car manufacturer high quality and new darling of American millionaires of the west coast. Beyond the exceptional performance of its vehicles, embedded technologies and price equally exceptional, it is the personality of the owner-founder who arouses interest. Elon Musk is indeed not the first comer. Still 42 years old, has already Elon Musk co-founded PayPal, SpaceX and Tesla Motors. he won his first in 12 years with the development of a game Resale of Units PayPal puts away the cash needed because more than 175 million. But rather than specialize in a nap, he created the company SpaceX specializing in space launch vehicles and Tesla Motors. In a short time Tesla Motors has become one of the stars of Silicon Valley with its electric sports car capable of hair-raising performance and autonomy with regard to the remarkable performance. For example, the Tesla Roadster is capable of accelerating from 0 to 100 Km / h in 3.7 seconds. To get better, you have to get a big Ferrari or a very big Porsche that cost 3 to 4 times more expensive. For many observers, Elon Musk is not just another carmaker but simply the new Henry Ford for his revolutionary approach to electric vehicles. Very recently, the company has released a new model: a family sedan identified as "Sedan" in American terminology. The Tesla S is a new stone in the pond because the 4-door sedan 5 seats (or 7) has nothing to envy to its German competitors (Audi, BMW, Mercedes) are the reference type. Prices range from 65 to 100 000 euros depending on options, such as equivalent models from other brands mentioned. The difference is of course that you do not spend more at the pump and you will have a range of 370 to 500 km, totally unique. Last point, if you were interested, you must register on the waiting list because all models have already been sold and the company is struggling to keep up with demand. For more information, please visit the manufacturer's website at this address. This long incision was necessary to explain the context. 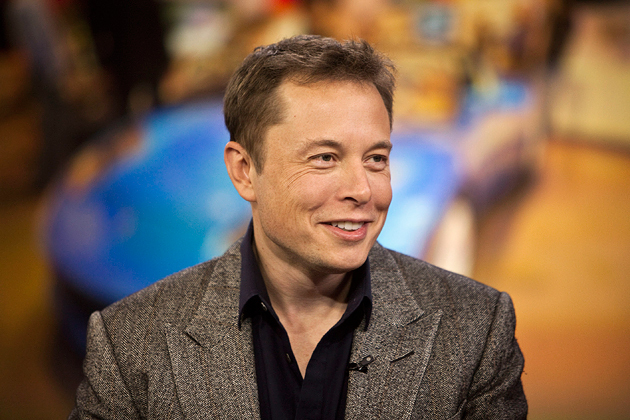 Tesla Motors has provided a model for some time here in John Broder of The New York Times. In addition to the test vehicle, it was an opportunity for him to test new rapid charging sockets installed on the east coast of the United States. Our colleague has therefore embarked on a journey between Washington and Boston. The result of his essay was published by the New York Times which is not strictly speaking a gazette neighborhood but one of the most respectable newspapers and most respected in the world. The paper is at least about assassin real autonomy in relation to that announced by the manufacturer. Mr. Broder - visibly chilly - hated having to cut air conditioning to preserve the autonomy before arriving at the pump and everything to match. Mr. Broder does not like electric vehicles, Tesla did not convince her and it is perfectly his right. However a terrible grain of sand has crept into this well-oiled mechanical destruction. Elon Musk is not a partridge year and has already had trouble with journalists malicious towards technology, in particular the Top Gear magazine a few years ago. Also, since this date, all vehicles loaned to journalists are "monitored". All data are recorded and unknown to the tester (it seems because we have not been able to find certainty on this point). Also after the publication of the article, our manufacturer billionaire (estimated net worth of 2 billion dollars) has cracked a detailed response on his blog. And according to him, our paper is full of nonsense colleague, inaccuracies or assertions completely contrary to reality. You can find the article by John Bromer to this address, the gallery of Mr. Musk's response here and the answer there. Everyone will own opinion but as they say bluntly, Mr. Broder did not really own thighs and his defense is a little shaky, we think he said. Graphics and tables produced by Elon Musk, John Broder responds conversations with Tesla engineers. John Broder says down the heating to preserve the autonomy and is exactly the opposite. He do tricks and turns parking the vehicle to get to her death but did not succeed. More annoying, he argues that autonomy steadily declining a load to another but fails to mention that he has shortened load times. In his blog entry, Mr. Musk said that Tesla countries where the best-selling in relation to the number of inhabitants of Norway and Switzerland, two countries where the climate is harsh. Beyond these quibbles, the "Teslagate" raises several questions about data protection and also shows the radical change that occurs in relation to the media. As highlighted in Dan Frommer SplatF, "everyone is now a medium." Indeed, such a story would not have spread so quickly and in such proportions before the advent of blogging. While Mr. Musk is a well known and it has a large surface area media but the example shows a simple blog is now able to compete in the audience with one of the most prestigious newspapers in the world, as long as the information given are good. "The new electronic interdependence recreates the world in the image of a village," wrote Marshall McLuhan. This has never been more true than today.